"Alvin Sanders is going to help the Feds catch a killer. He just doesn't know it yet." Knowing how to catch the trophy requires casting with the right bait. Alvin Sanders (Jamie Foxx) is a street crook finally put in jail for his misguided ways. Jaster (Robert Pastorelli) happens to be sharing a cell at the state lock-up with Sanders. His crimes involve espionage, terrorism and a multimillion dollar heist from the U.S. Government. Jaster knows his future is uncertain and decides to let Sanders in on the secret behind the missing money from his last and greatest heist. The unfortunate Alvin Sanders must deal with his own criminal past while avoiding the shadowy figures and organization bent on retrieving the hidden treasure that Jaster left behind. 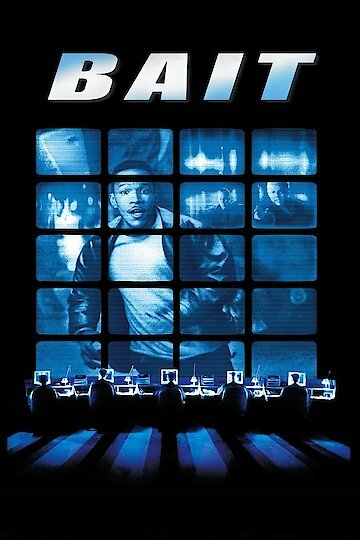 Alvin uses his knowledge of the streets and a network of like minds to confront whatever the government and some not-so-civilized racketeers throw at him. Exploding semi trucks and trap-riddled urban streetscapes present the challenge of Alvin's life in the slippery-slope of petty crime. Bait is currently available to watch and stream, buy on demand at Amazon, Vudu, Google Play, iTunes, YouTube VOD online.